Understanding your thyroid disorder can be a complex and personal matter. Where do you go and how do you gain access to the right information to manage your thyroid condition and get back to good health? How do you know if the medication and treatment prescribed by your doctor is going to work for you? Many of our members talk about the frustration they felt and the lack of available information to manage their thyroid disorder before they were members. Joining the Australian Thyroid Foundation from as little as $35 per year will provide you access to a range of information and valuable support. Our members say the decision to join will change your life, as it has theirs. The Australian Thyroid Foundation (ATF) is a member based organisation – our members, YOU, are the heart of our organisation. The ATF is managed by volunteers, most of which have a thyroid disorder and understand thyroid health issues from personal experience. This means you'll probably find someone who empathises with you at the end of the phone or in one of our many forums that can guide you to the right information and understand your needs. Through membership, we help you manage your thyroid health by providing the best information, education and support possible. Understanding your thyroid disorder and connecting you to other members for support gives you confidence you are not alone and there is help available through one-on-one support. As a thyroid patient, you need to feel completely confident with your specialist. 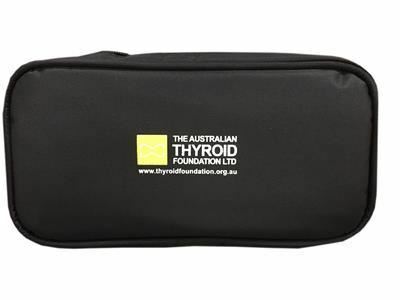 The Australian Thyroid Foundation are proud to work with Australia's leading thyroid researchers and clinicians to provide you with the information you need to discuss your thyroid disorder with your specialist or doctor. Your membership will give you access to a bank of resources to educate, inform and assist you in managing your thyroid health. how will the outcome of your thyroid cancer affect your future life. Take back control of your thyroid condition. Get the right diagnosis and the right treatment. Feel better and more confident about yourself. Without memberships and donations the ATF would not be able to continue and to help you and others like you with support, educational services, telephone and email support, events, messaging and provide the latest e-newsletter “Thyroid News”. The ATF Medication Travel Pack is exclusive to ATF. "AVAILABLE TO MEMBERS AT A SIGNIFICANTLY REDUCED RATE"